Keith G Ward began his career in 1970 with little more than ability and enthusiasm to his name. Yet even at the start, he had a clear vision of what he wanted: a company with a core of skilled professionals that could consistently deliver high quality building/maintenance at a competitive price. 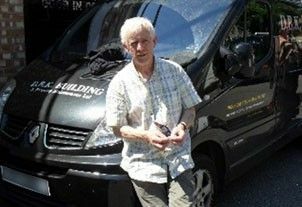 Today Keith G Ward runs DBK Building and Property Maintenance Limited which he registered as a limited company in 2006. 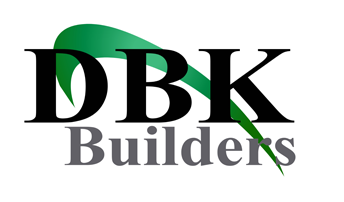 At DBK Building and Property Maintenance Limited we know the blueprint for the successful execution of a project is as important as the blueprint for the project itself. That's why we develop accurate pre-construction budgets, as well as efficient and cost-saving methods. We perform all tasks with our own team of skilled craftsmen, and effectively manage our projects during work. We offer free written estimates and are happy to give advice on any DIY projects you may have - so for all your home improvement needs contact us today for a friendly, helpful service. Serving Crouch End, Barnet, Potters Bar and North/Central London our client base includes house builders, developers and thousands of domestic clients. We have an approach to every project that no job is too small, that way we continue to grow as a company that prides itself on outstanding workmanship and the organisational skills required to run multiple projects in today’s marketplace. We stick to our timetables and complete projects on schedule. We constantly encourage feedback from our in-house team, as well as our suppliers and subcontractors.